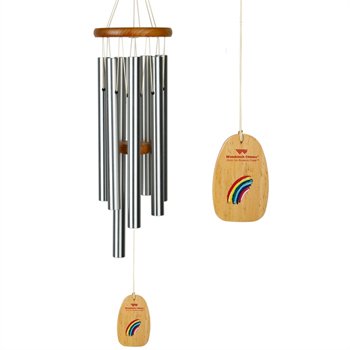 Your browser does not support the audio element. .
Our Over the Rainbow Chime is tuned to the opening notes of the beautiful ballad of the same name. Written in 1939 by composer Harold Arlen and lyricist Yip Harburg for the movie The Wizard of Oz, Over the Rainbow was sung by Judy Garland in her starring role as Dorothy Gale. Almost cut from the film, it went on to win the Academy Award for Best Original Song and is now a mainstay in American culture.